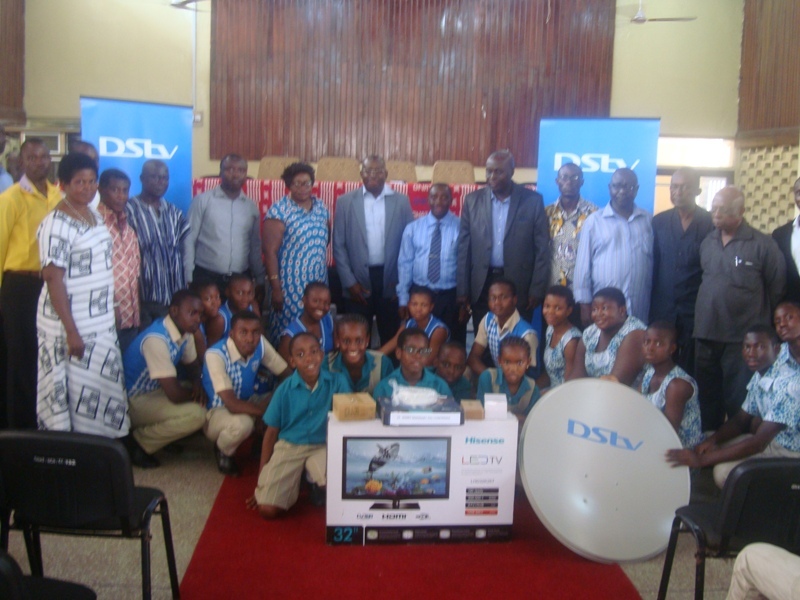 On Monday 18th November 2013, Multichoice Ghana Limited rolled out eighteen (18) additional Multichoice Resource Centres (MRC) in eighteen senior high schools across the country at a launch event held at the Ghana National Association of Teachers (GNAT) hall in Accra. The Multichoice Resource Centres project is a key corporate social initiative by Multichoice Ghana and aims at improving the teaching and learning process of teachers and students in Ghana by providing access to seven premium educational channels; National Geographic, Discovery Channel, History Channel, SABC Africa, BBC World, Animal Planet and Mindset. This year, Multichoice Ghana in conjunction with the Ghana Education Service selected eighteen schools for the MRC project. Ten schools, one in each region were provided with a fully installed DStv High Definition Personal Video Recorder (HDPVR) decoder, a dish, a 32 inch LED television set and the DStv Educational Bouquet at no cost whilst the other eight schools were offered the Multichoice Educational bouquet at no cost and the DStv High Definition Personal Video Recorder (HDPVR) decoder and a dish at a reduced price. The beneficiary schools were Alsyd Academy (Greater Accra), Bimbilla Secondary School (Northern Region), Bolgatanga Secondary School, Zuarungu Senior High School (Upper East Region), St. Francis Girls Secondary School (Upper West Region), Efutu Secondary Technical School and Aburaman Senior High School, Potsin T.I Ahmadiyya Senior High School, Swedru Senior High School (Central Region) St. James Seminary SHS confirmed (Brong Ahafo Region), Kwehu Tafo Senior High School (Eastern Region), St. Paul’s Senior High School, Nkwanta Senior High School, Zoin College (Volta Region), Kumasi Wesley Girls High SHS, Kumasi High School (Ashanti Region) and Sekondi College (Western Region). Two teachers from each of these schools will be trained by Multichoice Ghana on how to utilize the facility as a tool for teaching and learning and how to integrate the content on the educational bouquet into their curriculum. 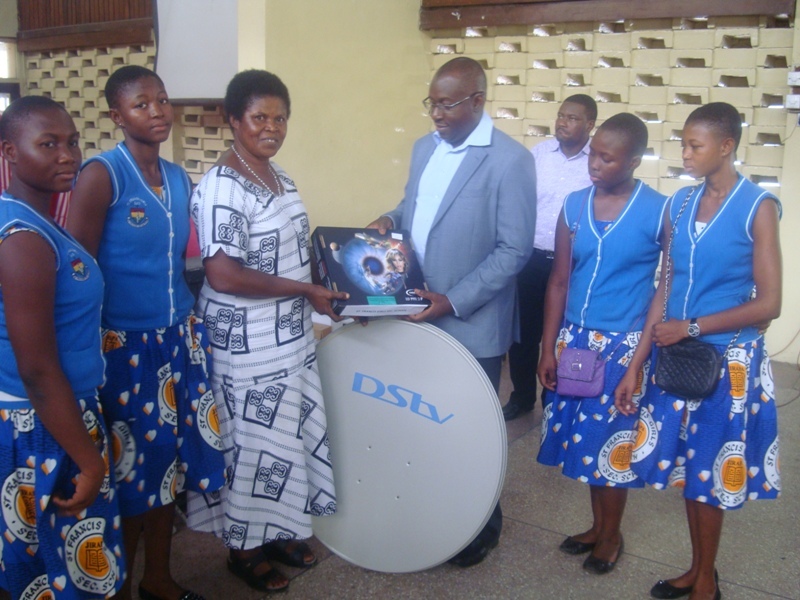 To ensure that many more schools benefit from this program, Multichoice Ghana Limited is offering the Multichoice Educational bouquet for free to non-selected schools that desire to be part of the MRC program and who are willing to purchase their own HDPVR decoder at subsidised price. The Corporate Social Responsibility policy of Multichoice Ghana encourages the company to invest meaningfully in the development of Ghanaian communities through various education related initiatives including the CNN Multichoice African Journalist Awards and the DStv Eutelsat Star Awards, an essay and poster competition which aims to inspire innovative thinking among high school students between the ages of fourteen (14) and nineteen (19). Other initiatives by Multichoice Ghana include the sponsorship of the Spelling Bee Competition, organized by the Young Educators Foundation, a local NGO dedicated to improving education in Ghana for three successive years. Multichoice Ghana launches 18 Resource Centres 0 out of 5 based on 0 ratings. 0 user reviews.